Marian Pierre-Louis, the principal researcher for Fieldstone Historic Research, regularly speaks at Libraries, Historical Societies and Genealogical Conferences. Saturday, February 8, 2014 all day event Green Valley Genealogical Society, Green Valley, AZ 4 talks: "Researching in Colonial New England," "Pirates and Prisoners: The Registry is more than just deeds!," "Cemetery Research for Your New England Ancestors," and "Don’t Call Your Relatives, Let Them Call You!" Wednesday, April 2, 2014 6:30pm Hall Memorial Library, Ellington, CT "Researching the History of Your House"
Thursday, April 3, 2014 6:30pm Ontario Genealogical Society, Ontario, Canada Webinar - "New Clues from Old Headstones: Using gravestones to find unexpected sources"
Saturday, May 17, 2014 Connecticut Society of Genealogists, Glastonbury, CT "Don't Call Your Relatives, Let Them Call You"
Wednesday, August 27, 2014 4:30pm Federation of Genealogical Societies (FGS) Conference, San Antonio, TX "Ten Tips for Marketing Your Society"
Thursday, August 28, 2014 10:45am Federation of Genealogical Societies(FGS) Conference, San Antonio, TX "Don't Call Your Relatives, Let Them Call You!" Thursday, August 28, 2014 3:00pm Federation of Genealogical Societies(FGS) Conference, San Antonio, TX "Why Genealogists Should Care about Carvers"
Wednesday, Jan. 16, 2013 2:00pm EST / 11:00 AM PST Legacy Family Tree Webinar "In the Trenches: Successful On-site Research "Webinar using GoToWebinar. 1,000 attendees per session. Free and open to any genealogist on the internet. Click on the link above to register. Monday, March 4, 2013 7:00pm Thomas Crane Public Library, Quincy, MA "Researching the History of Your House"
Tuesday, March 19, 2013 7:00pm CST / 8:00pm EST Webinar - Wisconsin State Genealogical Society "Plan Your Way to Research Success"
Thursday, April 18, 2013 12:15pm The New England Regional Genealogical Conference (NERGC) in Manchester, NH "Organizing and Dating Your Old Photographs"
Thursday, April 18, 2013 1:45pm The New England Regional Genealogical Conference (NERGC) in Manchester, NH "Finding African Americans in Land Records"
Friday, April 19, 2013 10:00am The New England Regional Genealogical Conference (NERGC) in Manchester, NH "Why Genealogists Should Care About Carvers"
Saturday, April 20, 2013 3:15pm The New England Regional Genealogical Conference (NERGC) in Manchester, NH "Focus on Guardianship Records"
Thursday, May 9, 2013 7:00pm The Flint Memorial Library, North Reading, MA "Researching the History of Your House"
Saturday, May 18, 2013, 1:00pm Essex Society of Genealogists, Lynnfield, MA "Deeds & Probate: A Powerful Combination"
Saturday, May 25, 2013 The Denison Society at the Mystic Hilton in Mystic, CT "Pirates and Prisoners: The Registry is more than just Deeds"
Wednesday, June 5, 2013 2:00PM EST / 11:00 AM PSTLegacy Family Tree Webinar "The Genealogy of Your House"Webinar using GoToWebinar. 1,000 attendees per session. Free and open to any genealogist on the internet. Click on the link above to register. Wednesday, June 19, 2013 11:00am The Cape Cod Genealogical Society, Annual Meeting "10 Brick Wall Tips for Genealogists"
Wednesday, August 7, 2013 2:00PM EST / 11:00 AM PST Legacy Family Tree Webinar "Captured For All Time: Recording Family Voices to Preserve and Pass Down" Recorded webinar. Sunday, September 15, 2013 2:00pm The Dorchester Historical Society, Dorchester, MA "Researching the History of Your House"
Wednesday, Sept. 18, 2013 2:00PM EST / 11:00 AM PST Legacy Family Tree Webinar "Don't Be an Audio Hog: Free and Easy Ways to Share Your Audio Files" Recorded webinar. Saturday, October 19, 2013 Worcester Public Library, Worcester, MA "Researching the History of Your House"
Wednesday, Nov. 6, 2013 2:00PM EST / 11:00 AM PST Legacy Family Tree Webinar "Researching with Marian! Creating a Research Plan with YOUR Research" Recorded webinar. Saturday, November 16, 2013 11:00am The Dedham Public Library, Dedham, MA "10 Brick Wall Tips for Beginners"
Friday, January 13, 2012 7:30pm The Irish Ancestral Research Association (TIARA) at Boston College "Discovering Immigrant Voices through House History Research"
Wednesday, Jan. 18, 2012 2:00PM EST / 11:00 AM PST Legacy Family Tree Webinar "Pilgrims and Patriots: Discovering Your Massachusetts Ancestors" Recorded webinar. Thursday, Feb. 2, 2012 3:45PM EST / 1:45 AM MST RootsTech / Legacy Family Tree Webinar >> Genealogy Idol Competition << Recorded webinar. Wednesday, Feb. 15, 2012 2:00PM EST / 11:00 AM PST Legacy Family Tree Webinar "10 Brick Wall Tips for Beginners" Recorded webinar. Wednesday, Feb. 22, 2012 6:30pm The Boston Public Library in Boston, MA "Discovering Immigrant Voices through House History Research"
Saturday, March 3, 2012 11:15am The Pollard Memorial Library in Lowell, MA "Researching the History of Your House"
Saturday, March 24, 2012 New England Family History Center Annual Conference in Franklin, MA. "Brick Walls: Cracking the Case of Nathan Brown's Parents" and "Ten Brick Wall Tips for Beginners"
Saturday, March 31, 2012, 10am Windsor Historical Society, Windsor, CT "Researching the History of Your House"
Saturday, April 21, 2012 1:00pm Greater Lowell Genealogy Club at the Chelmsford Public Library in Chelmsford, MA "Looking after the Poor: Finding Your Ancestors in New England Poverty Records"
Friday, April 29, 2012 - EVENT CANCELLED The Worcester Public Library Genealogy Conference in Worcester, MA "Finding African Americans in Land Records"& "New Clues from Old Headstones: Using gravestones to find unexpected sources"
Tuesday, May 1, 2012, 7:00pm The Simsbury Free Library, Simsbury, CT "Researching the History of Your House"
Friday, May 4, 2012 The Denison Society at the Denison Homestead in Mystic, CT "New Clues from Old Headstones: Using gravestones to find new resources"
Saturday, May 19, 2012 11:00am - 1:00pm The Cape Cod Genealogical Society at the Dennis Public Library in Dennisport, MA "Hands on Genealogy Blogging Workshop"
Sunday, May 20, 2012 2:30pm The Rhode Island Genealogical Society, Wickford, RI "Deeds & Probate: A Powerful Combination"
Thursday, June 14, 2012 5:30pm SLT (PST / 8:30 EST) Association of Professional Genealogists, Second Life Chapter - Virtual presentation in Second Life"House History Research"
Saturday, June 23, 2012 The Sisson Family Gathering sponsored by the Sisson Family Association at Albany, New York "The Sisson Migration Westward out of New England"
Wednesday, July 18, 2012 2:00PM EST / 11:00 AM PST Legacy Family Tree Webinar "Plan Your Way to Research Success" Recorded webinar. Saturday, July 21, 2012 9:30am Massachusetts Genealogical Council Annual Seminar in Waltham, MA "Finding African-Americans in Land and Probate Records"
Tuesday, August 7, 2012 8:00pm EST New England House Historian Webinar "Researching Massachusetts Deeds" Recorded webinar. Tuesday, August 14, 2012 8:00pm EST New England House Historian Webinar "Tips from Town Hall" Recorded webinar. 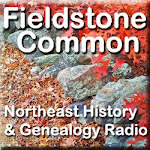 Saturday, August 18, 2012 The Morse Family Convention sponsored by the Morse Society, Norwood, MA "Looking after the Poor: Finding Your Ancestors in New England Poverty Records"
Tuesday, August 21, 2012 8:00pm EST New England House Historian Webinar "Prime Time Probate" Recorded webinar. Wednesday, October 3, 2012, 7:00pm Beebe Memorial Library, Wakefield, MA "Researching the History of Your House"
Wednesday, October 17, 2012 2:00PM EST / 11:00 AM PST Legacy Family Tree Webinar "10 Brick Wall Tips for Intermediate Researchers" Recorded webinar. Saturday, November 10, 2012 1:30pm South Shore Genealogical Society at the John Curtis Free Library in Hanover, MA "Researching the History of Your House"
Wednesday, November 28, 2012, Nevins Memorial Library, Methuen, MA "Researching the History of Your House"
Saturday, January 29, 2011 2:00 pm Brooks Free Library in Harwich, MA "Finding the Gems in New England Cemeteries"
Tuesday, February 8, 2011 7:00 pm Belmont Public Library in Belmont, MA "Researching the History of Your House"
Tuesday, March 8, 2011 7:00pm The Memorial Hall Library in Andover, MA "Looking after the Poor: Finding Your Ancestors in New England Poverty Records"
Saturday, March 26, 2011 New England Family History Center Annual Conference in Franklin, MA. "Two chairs and a pair of spectacles: Discovering your ancestors in Probate Records" and "Stones, Satellites & Sonar - Getting the Most out of Cemetery Research"
Saturday, April 2, 2011 1pm EST / 10am PST Southern California Genealogical Society, Jamboree Extension Series via the internet "Looking after the Poor: Finding Your Ancestors in New England Poverty Records"
Friday, April 8, 2011 8:30am The New England Regional Genealogical Conference (NERGC) in Springfield, MA "Two chairs and a pair of spectacles: Discovering your ancestors in Probate Records"
Tuesday, April 12, 2011 7:00pm Massachusetts Society of Genealogists (MSOG) - Worcester Chapter at the Auburn Public Library in Auburn, MA "Pirates and Prisoners: The Registry is more than just Deeds"
Wednesday, April 20, 2011 10:00am The Cape Cod Genealogical Society at the Brewster Ladies' Library in Brewster, MA "Don't Call Your Relatives, Let Them Call You"
Monday, April 25, 2011 7:00 pm The Allen's Neck Community Club in Dartmouth, MA at the Allen's Neck Meeting House, 739 Horseneck Road,Dartmouth, MA "Researching the History of Your House"
Friday, April 29, 2011 The Worcester Public Library Genealogy Conference in Worcester, MA "Two chairs and a pair of spectacles: Discovering your ancestors in Probate Records" & "Pirates and Prisoners: The Registry is more than just Deeds"
Tuesday, May 3, 2011 7:30pm Medway Historical Society "A Look at Photo Identification through Photo Collection of the Medway Historical Historical Society"
Thursday, May 19, 2011 7:00pm Holden Historical Society at the Holden Senior Center, Holden, MA "Researching the History of Your House"
Sunday, May 22, 2011 2:00 pm Natick Historical Society in Natick, MA at the Eliot Church Hall on Eliot Street. "Researching the History of Your House"
Saturday, July 23, 2011 Massachusetts Genealogical Council Annual Seminar "What is a Blog, Anyway?" Wednesday, August 17, 2011 9pm EST / 6pm PST Southern California Genealogical Society, Jamboree Extension Series via the internet "Cemetery Research for Your New England Ancestors" Recorded webinar. Tuesday, August 23, 2011 7:00pm The Central Massachusetts Genealogical Society (CMGS) in Gardner, MA "Discovering Immigrant Voices through House History Research"
Saturday, September 10, 2011 Family Research Day, Lynnfield Family History Center "Deeds and Probate: A Powerful Combination" and "Don't Call Your Relatives, Let Them Call You"
Wednesday, Sept. 21, 2011 2:00PM EST / 11:00 AM PST Legacy Family Tree Webinar "Researching Your Connecticut Ancestors" Recorded webinar. Saturday, October 15, 2011 Heritage Hunters, Saratoga Springs, NY "Pirates and Prisoners: The Registry is more than just Deeds", "Two chairs and a pair of spectacles: Discovering your ancestors in Probate Records", "Cemetery Research for Your New England Ancestors" and "Don't Call Your Relatives, Let Them Call You"
Wednesday, Nov. 2, 2011 2:00PM EST / 11:00 AM PST Legacy Family Tree Webinar "Brick Walls: Cracking the Case of Nathan Brown's Parents" Recorded webinar. Saturday, November 5, 2011, 1pm New England Chapter of the Association of Professional Genealogists (NEAPG), Tufts Univeristy, Medford, MA "Brick Walls: Cracking the Case of Nathan Brown's Parents"
November 19, 2011, 1:00pm Essex Society of Genealogists, Lynnfield, MA "Researching the History of Your House"
Thursday, March 18, 2010 7:00pm The Dover Historical Society in Dover, MA "Early African American Communities in New England"
Saturday, March 27, 2010 New England Family History Center Annual Conference in Franklin, MA. "Deeds & Probate: A Powerful Combination" and "Early African American Communities in New England"
Wednesday, April 14, 2010 10:00am The Cape Cod Genealogical Society at the Brewster Ladies' Library in Brewster, MA "Early African American Communities in New England"
Friday, April 16, 2010 10:00 am The Worcester Public Library in Worcester, MA "Looking after the Poor: Finding Your Ancestors in New England Poverty Records"
Thursday, April 22, 2010 7:00 pm The Southborough Genealogy Club at the Southborough Library in Southborough, MA. "Researching the History of Your House"
Saturday, May 8, 2010 1:30pm Massachusetts Society of Genealogists (MSOG) - Middlesex Chapter at the Goodnow Library, Sudbury, MA "Deeds & Probate: A Powerful Combination"
Saturday, June 12, 2010 10:00 am The Falmouth Genealogical Society at the Falmouth Public Library in Falmouth, MA "Don't Call Your Relatives, Let Them Call You"
Thursday, August 19, 2010 7:00 pm The Westport Historical Society in Westport, MA "Researching the History of Your House"
Tuesday, August 24, 2010 pm The Southington Genealogical Society in Southington, CT "Deeds & Probate: A Powerful Combination"
Wednesday, September 15, 2010 7:00 pm The Sippican Historical Society at the Music Hall, 164 Front Street in Marion, MA "Researching the History of Your House"
Tuesday, October 12, 2010 7:00 pm The Swampscott Public Library in Swampscott, MA "Researching the History of Your House"
Wednesday, Oct. 20, 2010 6:30pm The Boston Public Library in Boston, MA "Researching the History of Your House"
Thursday, Oct. 21, 2010 7:00 pm St. Mary's Catholic Women's Club of Franklin in Frankin, MA "Don't Call Your Relatives, Let Them Call You"
Saturday, Oct. 23, 2010 3:30 pm The Providence Public Library in Providence, RI "Genealogy 101: How to Climb Your Family Tree Without Falling off"
Saturday, November 13, 2010 2:00 pm Brooks Free Library in Harwich, MA "Researching the History of Your House"
Wednesday, Feb. 18, 2009 7:00pm Morse Institute Library in Natick, MA "Researching the History of Your House"
Monday, March 23, 2009 7:00pm The Shrewsbury Public Library in Shrewsbury, MA "Finding the Gems in New England Cemeteries"
Saturday, March 28, 2009 New England Family History Center Annual Conference in Franklin, MA. "Organizing & Dating Your Old Photographs" and "Looking after the Poor: Finding Your Ancestors in New England Poverty Records"
22-26 April 2009 The New England Regional Genealogical Conference (NERGC) in Manchester, NH "Poor, Black and Landless in New England: The Case Study of Ishmael Coffee", "Early African American Communities in New England" and "Looking after the Poor: Finding Your Ancestors in New England Poverty Records"
Saturday, May 9, 2009 Massachusetts Society of Genealogists (MSOG) - Middlesex Chapter (free event for the general public) "Looking after the Poor: Finding Your Ancestors in New England Poverty Records"
Saturday, June 20, 2009 1:00pm The Lawrence History Center in Lawrence, MA "Discovering Immigrant Voices Through House History Research"
Tuesday, June 23, 2009 7:00pm The Central Massachusetts Genealogical Society (CMGS) in Gardner, MA "Organizing & Dating Your Old Photographs"
Tuesday, July 21, 2009 7:00pm The Windsor Historical Society in Windsor, CT "Early African American Communities in New England"
Saturday, July 25, 2009 10:00am The Vine Lake Preservation Trust, Vine Lake Cemetery in Medfield, MA "Famous and Noteworthy Walking Tour"
Wednesday, Oct. 7, 2009 7:30pm The Dover Public Library in Dover, MA. Co-sponsored by the Dover Historical Society "Researching the History of Your House"
Wednesday, Oct. 28, 2009 6:30pm The Boston Public Library in Boston, MA "Poor, Black and Landless in New England: The Case Study of Ishmael Coffee"
Tuesday, Feb. 19, 2008 7:30pm Medway Historical Society (general public welcome) "Researching the History of Your House"
Saturday, March 29, 2008 New England Family History Center Annual Conference in Franklin, MA. (free event for the general public) "Organizing & Dating Your Old Photographs"
Tuesday, April 15, 2008 7:30pm Medway Historical Society (general public welcome) "From Coffee Street to the Ishmael Coffee Estates: Who was Ishmael Coffee?" Saturday, April 26, 2008 Massachusetts Genealogical Council Annual Conference "Poor, Black and Landless in New England: The Case Study of Ishmael Coffee"
Tuesday, May 13, 2008 7:00pm Massachusetts Society of Genealogists (MSOG) - Worcester Chapter at the Auburn Public Library in Auburn, MA. "Finding the Gems in New England Cemeteries"
Tuesday, October 16, 2007 7:30pm Medway Historical Society (general public welcome) "Meet the Thayers: The Significance of the Thayer Homeplace in Medway"